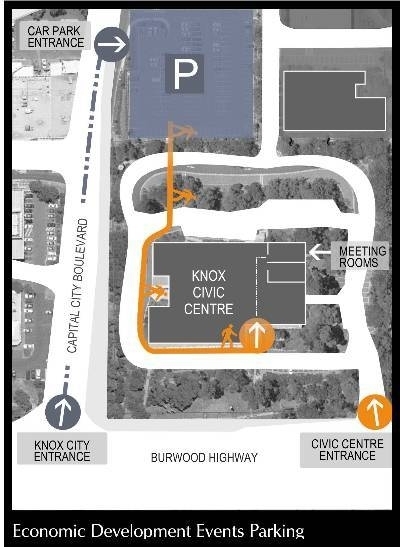 Parking is restricted to 2 hours at the Knox Civic Centre. If you plan to be at Council for more than two hours, please park in the free, unrestricted car park behind the Civic Centre, accessed via Capital City Boulevard as depicted in the map below. Pedestrian access from the car park to the Civic Centre is via a gate in the fence, highlighted in yellow below.